The History Department has established a fund with KU Endowment to honor the memory of Ethan Schmidt. 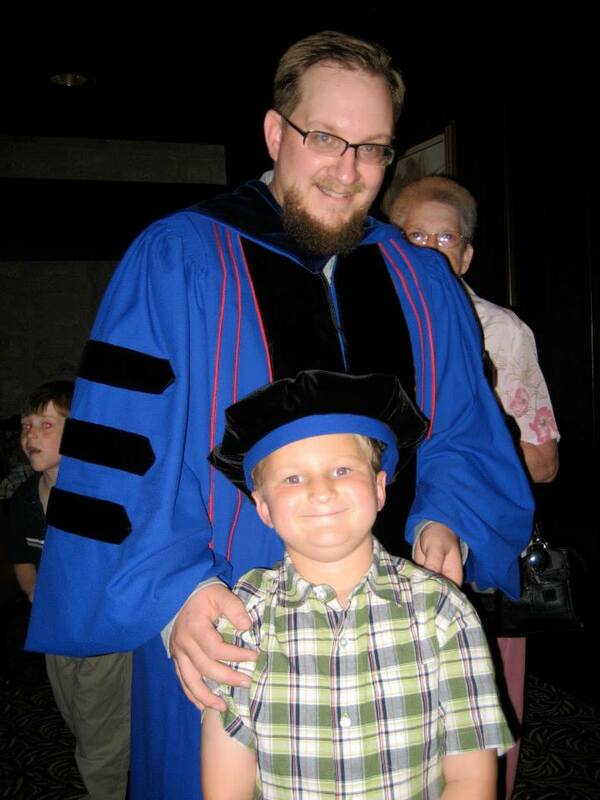 Ethan earned a PhD from the History Department in 2007. On September 14, 2015, he died tragically, shot by a fellow colleague without provocation while in his office at Delta State University. You may read more about Ethan below. To honor Ethan’s love of KU and his support for graduate student development, this fund is designated for grants to graduate students in the History Department in support of their research and professional enrichment. Awards will support activities such as travel to archives, acquisition of research materials, workshop or conference participation, and other activities as needed that enhance their research and professionalization. The History Department will designate the award recipient(s) annually, as account balances permit. Contributions should be sent to the KU Endowment, designated for the Ethan A. Schimdt Memorial Award, account # 41698. With great sadness, the History Department honors the memory of Ethan Schmidt, a 2007 PhD recipient from our department. Ethan, now a history professor at Delta State University in Mississippi, was shot and killed by a gunman on campus September 14. Ethan served as president of HGSO while he was a student here, and was instrumental in restructuring our graduate program. His sincerity, good sense, imaginative teaching, and keen historical mind earned him the admiration of everyone who knew him. He was an exemplary graduate student in his time with us, and he became an exemplary faculty member. He represented the very best our department has to offer. Ethan published two books, Native Americans in the American Revolution: How the War Divided, Devastated, and Transformed the Early American Indian World (Santa Barbara: Praeger, 2014) and The Divided Dominion: Social Conflict and Indian Hatred in Early Virginia (Boulder, Colorado : University Press of Colorado, 2015). These publications grew out of his Ph.D. studies. Ethan leaves behind a wife, Liz, and three children—Connor, Dylan, and Brianna. All of us who knew him mourn this loss and treasure his memory. Please also visit this GoFundMe site for ways to support Ethan's family and honor his memory.